There are so many unpredictable views about the next Apple gadget that no one is sure about what the company is offering there next device technology wise. 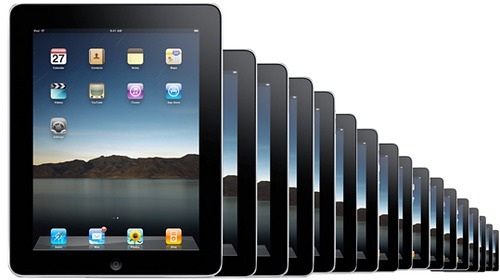 The device about to be released next by Apple is iPad HD and not the iPad 3. There are many media activities are going around and rumors ebb and dive like a wave. It is exactly the same method adopted at the time of launching of iPhone 4S. However, with the launch of iPad HD the new feature retina display is definite to be introduced which was left out during the launch of iPad 2. But retina technology was included in iPhone 4. HD for the iPad makes some sense with respect to visual experience. It is a difference between 720p and 1080i. There is also appearing another better alternative and name for iPad 3 is iPad 4G because the role of 4G connectivity in the next coming device.